We have created all of our Cabins in a unique and thoughtful way that will give you a memorable experience. Our Cabins are either a cozy and romantic getaway for a couple, or large enough for an entire family group (sleeping up to ten people). Either way, you are able to design your own personal vacation, and you only pay for what you need, based on the number of people in your group. All of or Cabins start at the same LOW base price. As your group increases, so does the size of your Cabin. 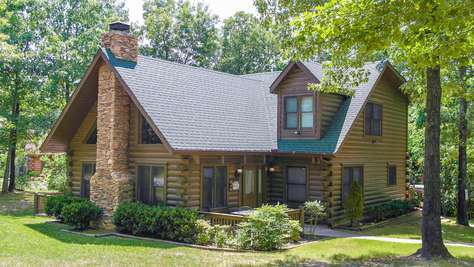 When you request lodging for 2 people you will be designated A 1 Bedroom cabin at our lowest possible price. When you request lodging for 3-4 people you will be designated 2 Bedrooms priced accordingly. When you request lodging for 5-10 people you will be designated 3 Bedrooms priced to fulfill all of your needs.